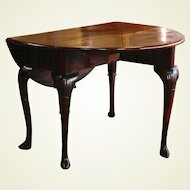 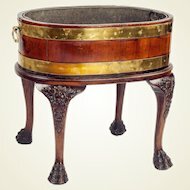 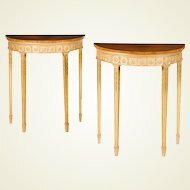 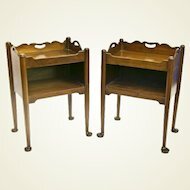 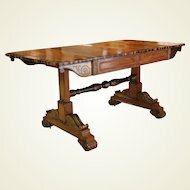 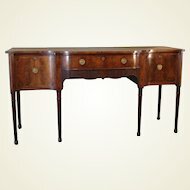 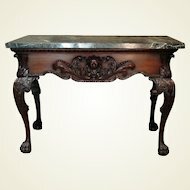 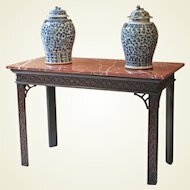 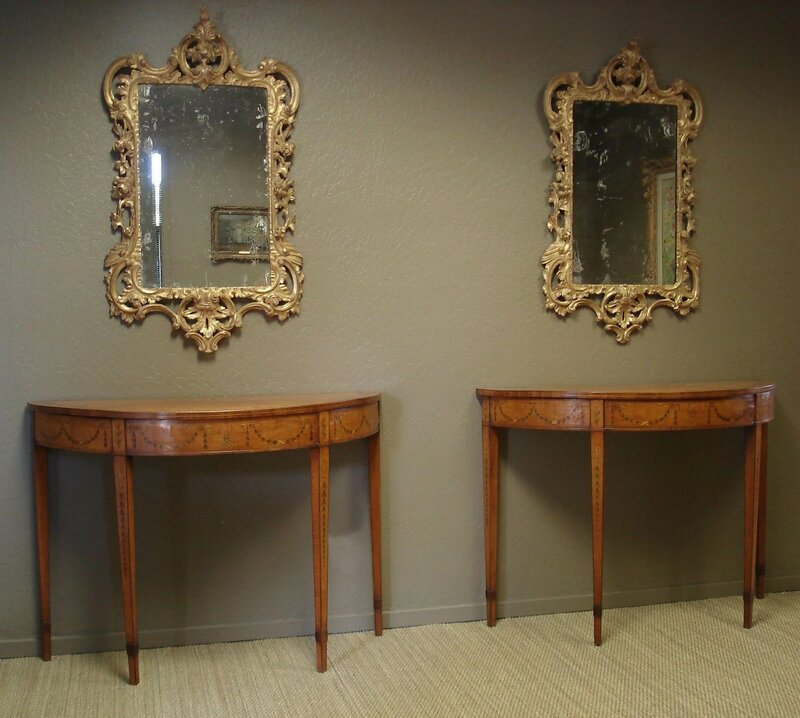 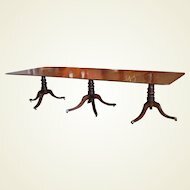 A pair of Irish George III period satinwood and marquetry pier tables. 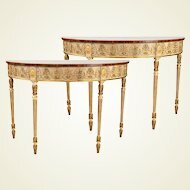 The tops with fan and feather terminals, with continuous ribbon and husk swags to the frieze, with anthemion and husk motif to the square tapering, gaitered legs. 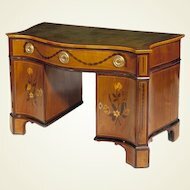 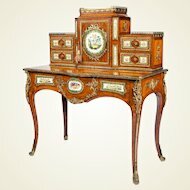 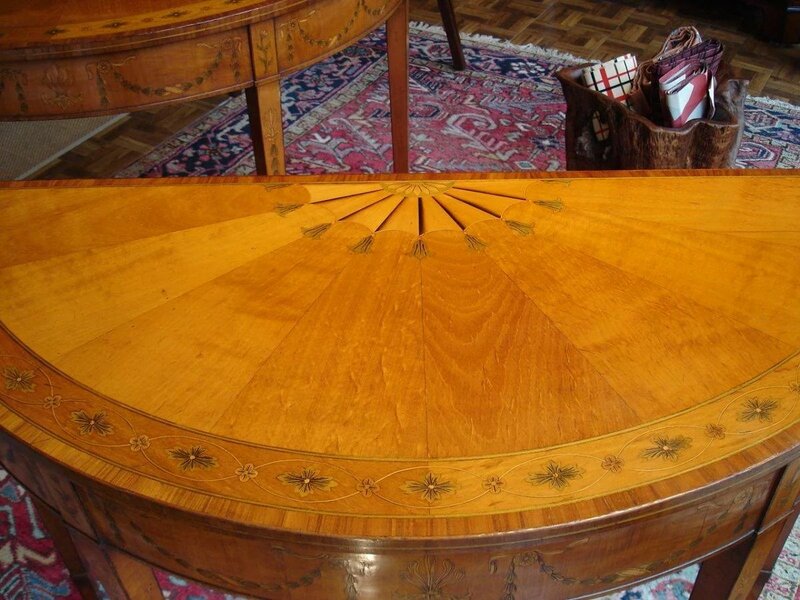 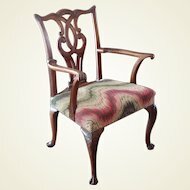 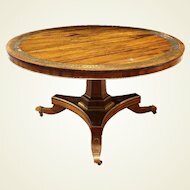 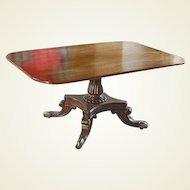 The marquetry, fan motif to the top and gaitered legs are specific to the known pieces produced in the workshop of William Moore of Dublin.